I like to know the elevation of the races I do, so I know where the up hills and (perhaps more importantly) the down hills are. 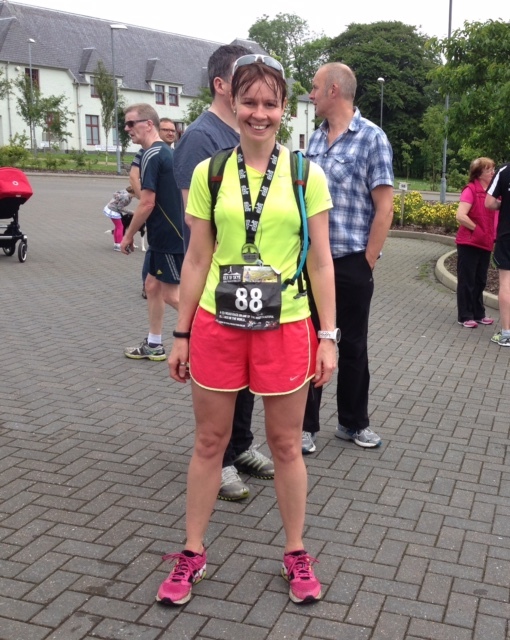 It was the downhills in the Skye half marathon which I’m sure secured my half marathon pb (surprisingly at the time). I ran started off easy, letting lots of runners pass me, then by mile 4 I used the downhill to get me going good. Strong and steady up the hills and I really let go and flew down the downhills. 🙂 It was great fun. 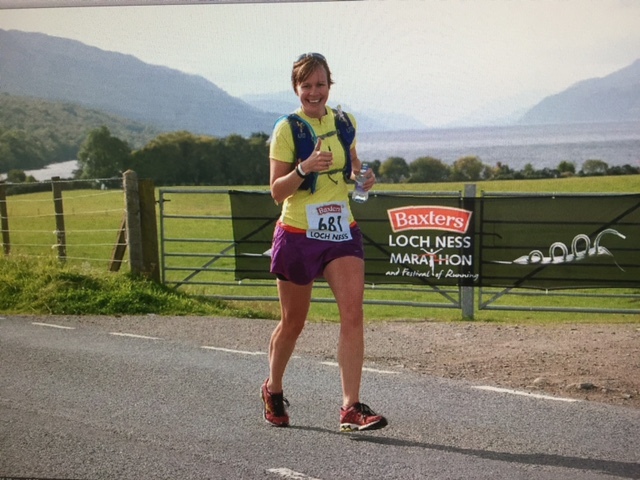 And it was definitely good to know when the up hills and downhills were in the Loch Ness marathon were – so that the big f%$¥er at Dores didn’t surprise us. And the first 10 miles, more or less downhill, at Loch Ness, were magic. (Even though it didn’t feel like it that night lol). 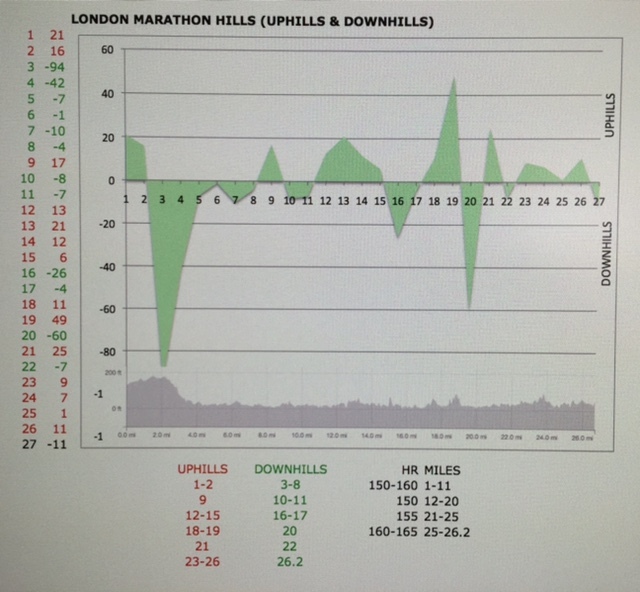 I haven’t done the London Marathon before, and I oil don’t find an elevation chart online. 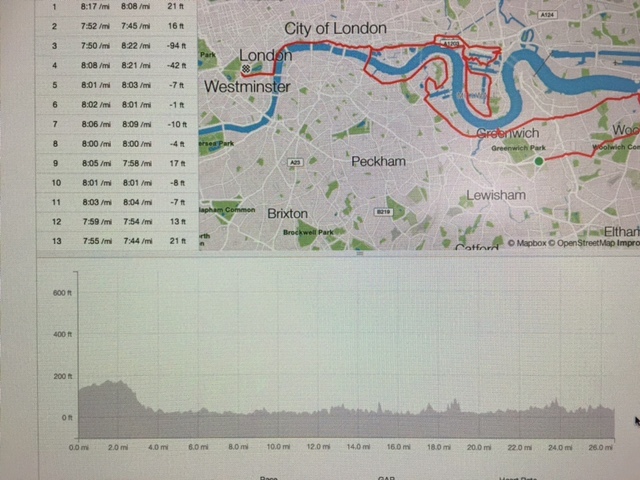 So I asked a runner friend who had – the brilliant runner Gerry Craig has run it himself, and paced it as well, so I asked him for a link to one of his London marathon activities. 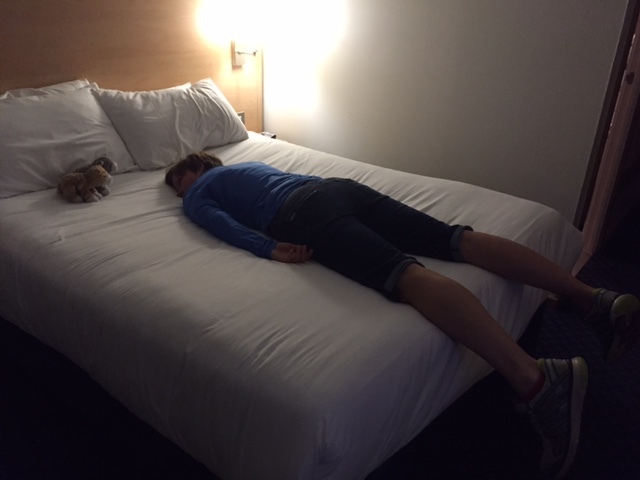 He said it was pretty much flat except for a slight uphill onto tower bridge. Fine … (but I like downhills lol). – 23-26 might be a little nasty (or maybe ok as there’s not much elevation change).